Did you notice the front of the box of those last two? 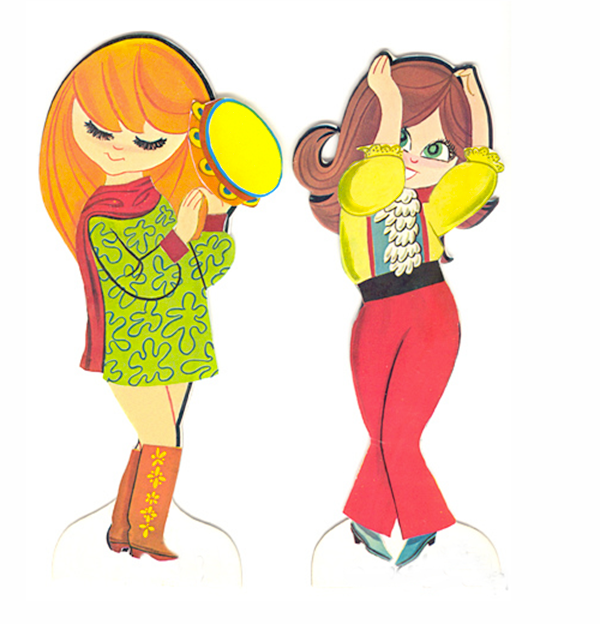 “OUTFITS STICK BY MAGIC!” Hee. No pesky tabs here, our mods love the magic! Ahhhh! 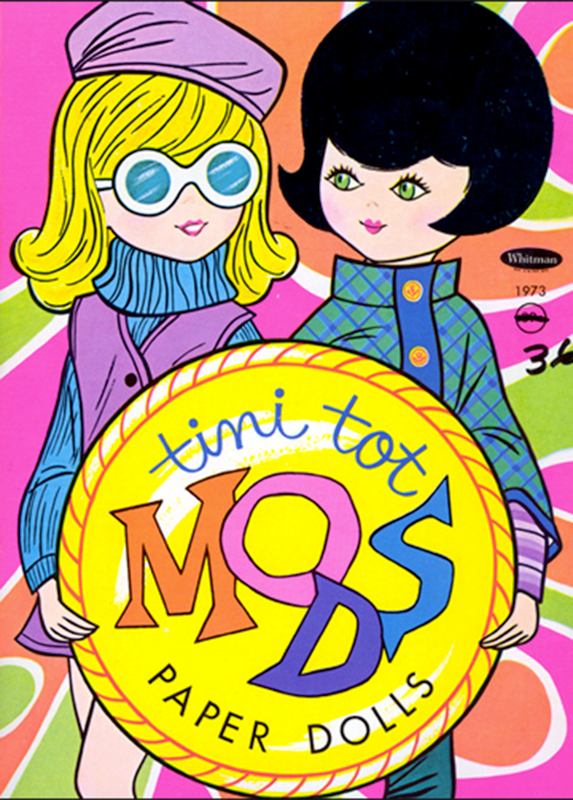 how cute is mod missy with her Mod Mag?? 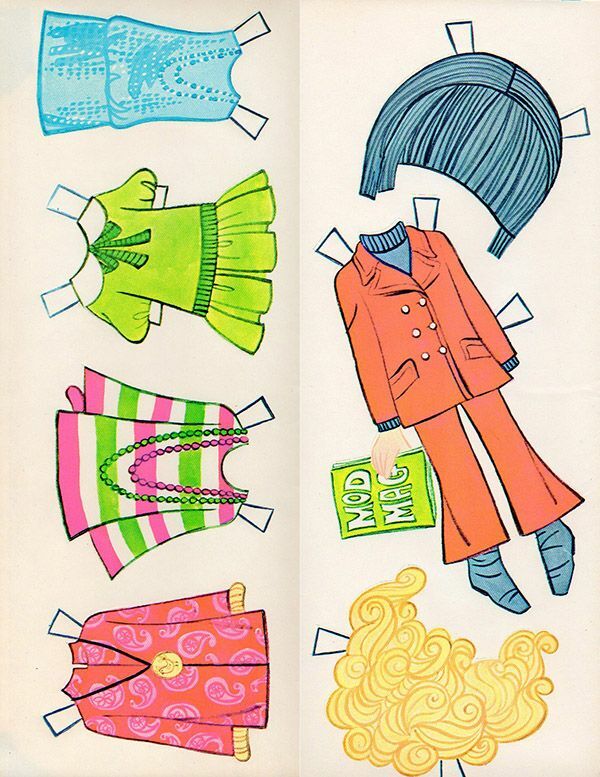 Also, is it wrong to covet a doll’s wardrobe? 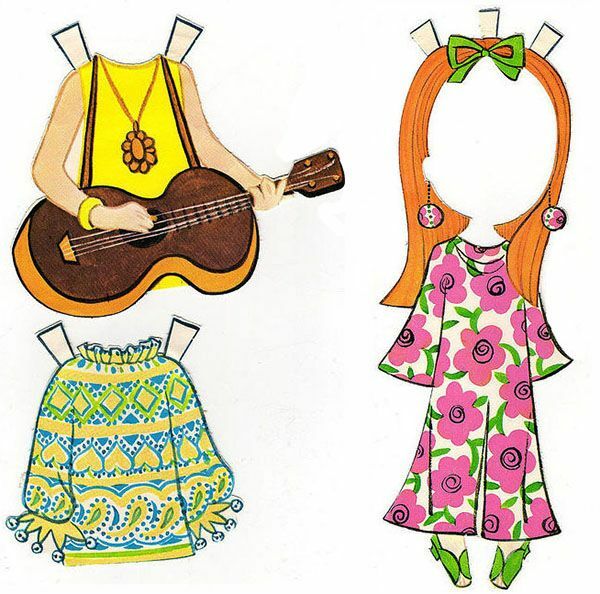 Seriously, I think I would wear any one of those outfits myself. 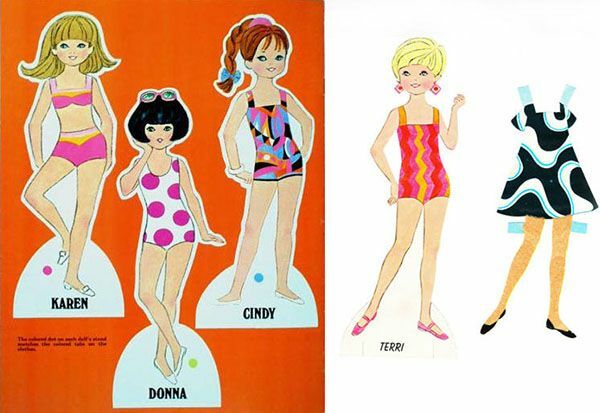 Did you play with paper dolls when you were a kid? 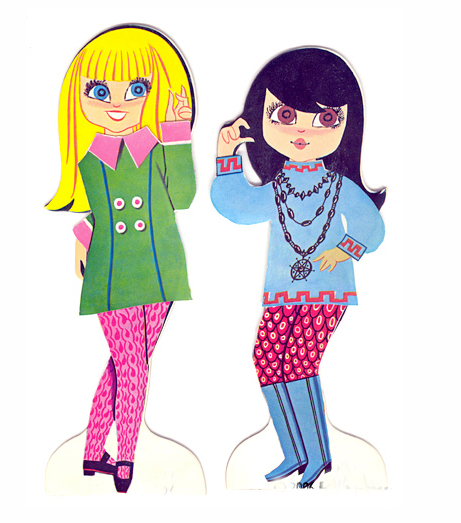 Tagged with 60s, 70s, mod paperdolls, vintage paper dolls, Vintage toys. It looks really cool and colorful. 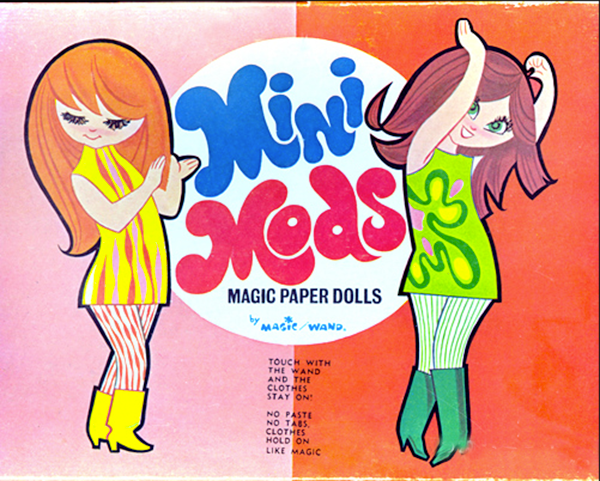 By the way I really love the tag mark in front of the box – “OUTFITS STICK BY MAGIC” you have definitely noticed that. Thanks a lot for sharing; it is reminding me some beautiful memories. I would have snapped up The Mods – how cute! Oh I know, amazing huh!!!! 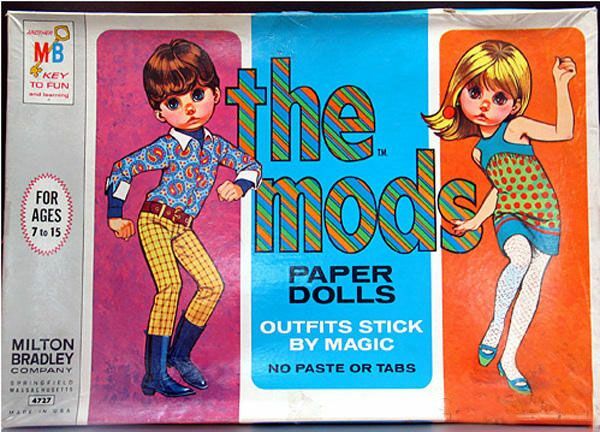 And the MINI MODS are pretty hip too! They’d be a fun bunch to hang out with!! hahaha. I know! 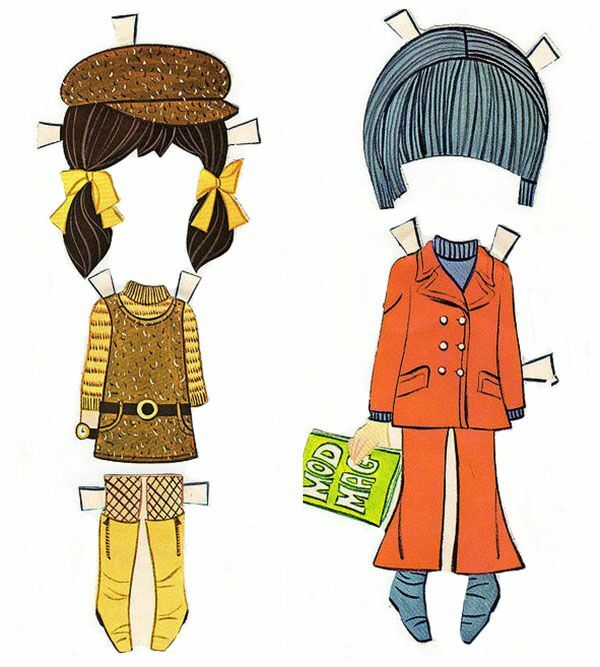 I mean, my paper dolls were very cute and adorable….but these guys???? SO HIP! 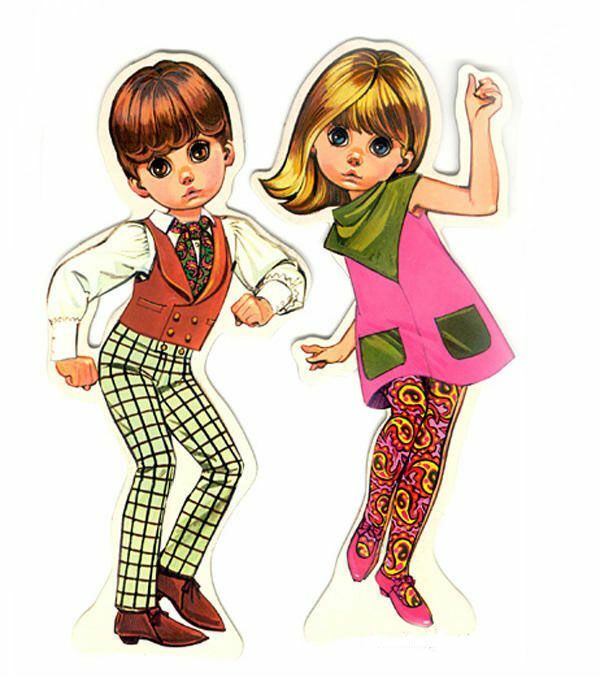 I had ‘the mods’ (no caps, please) – BTW, the ‘magic’ was just a plain wax crayon rubbed on the back of the clothes – and the ones labelled Karen, Donna etc – I think there were 6 of them. 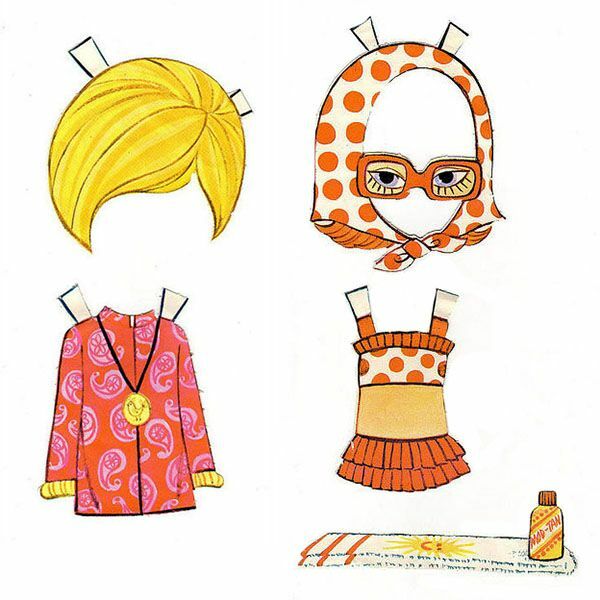 Also had one of the classic Twiggy sets. They’re in my basement somewhere but too well worn to see the light of day.